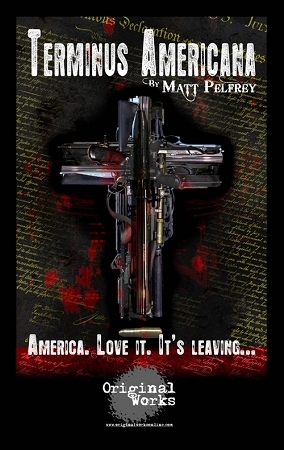 Synopsis: After barely surviving an office rampage, Mac Winchell is thrust into a nightmare landscape populated by lost Marlboro Men, psychotic vagabonds, sinister corporate thugs and a strange cult known as a “The Church of Christ, Office Shooter”. Mac attempts to escape this twisted reality by undertaking a quest that ultimately leads him into the darkest corners of the American Dream. Terminus Americana is a surreal, visceral and challenging examination of our violence-saturated culture.